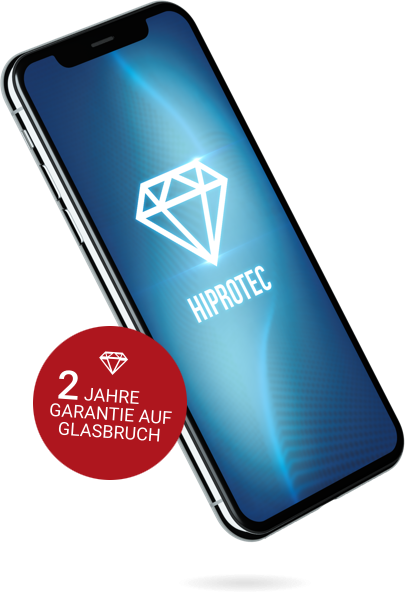 Diamond-hard display protection for Smartphones The ultimate display protection by HIPROTEC is invisible and intangible. 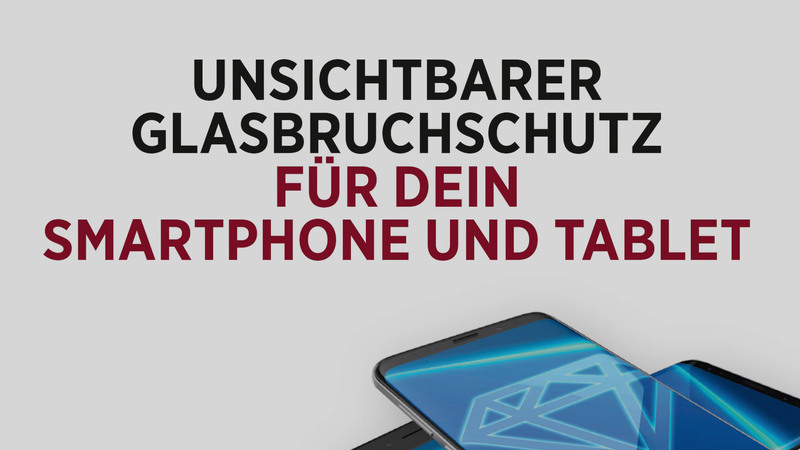 It connects to the Smartphone’s glass surface entirely. The Smartphone can be used precisely as before immediately after application. Neither its feel nor its touch abilities are impaired. 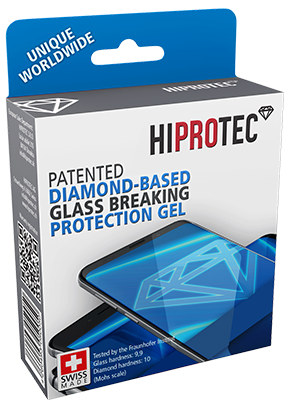 In contrast to other display protection fluids on the market, the HIPROTEC Diamond Gel cannot be rubbed, scraped or cleaned away. 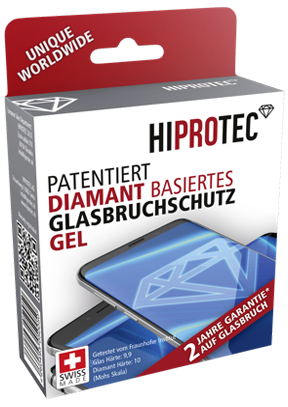 Smartphone surfaces treated with HIPROTEC DIAMOND GEL are proven to break much less often. HIPROTEC is the only product reviewed by the independent Fraunhofer Institute for which this property has been confirmed. 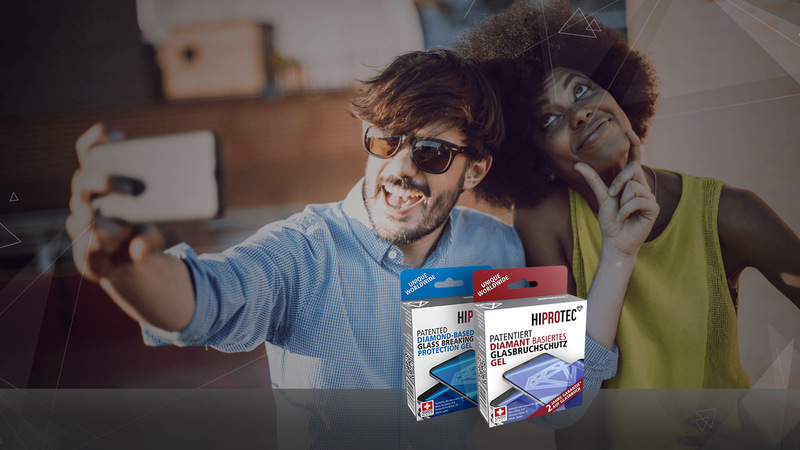 HIPROTEC gives 2 years warranty for broken glass. If your screen breaks anyway, you will receive a EUR 100.00 cash reimbursement! 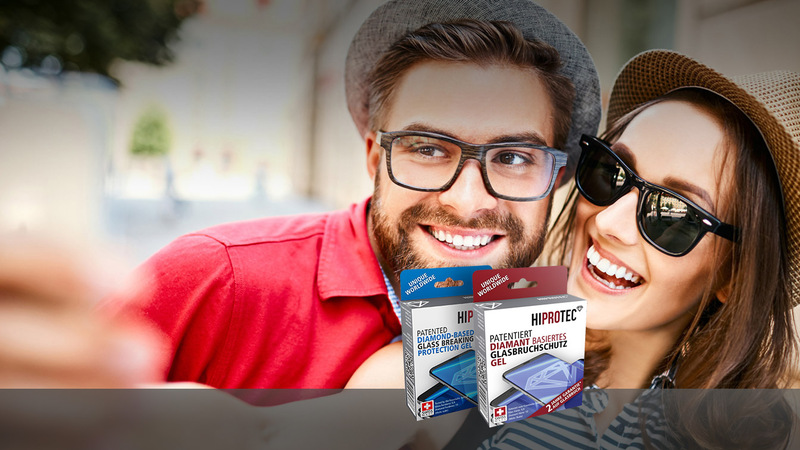 The patented Swiss product HIPROTEC glass breakage protection is a patented high-quality product from Switzerland. 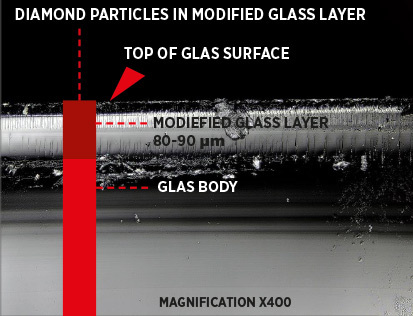 We achieve a glass hardness of 9.9, which is in the hardness range of diamonds! The independent Frauenhofer Institute tested our glass breakage protection gel and confirmed its outstanding protection. The gel has an antibacterial affect that repels 99.9% of all bacteria from the surface. It keeps your device hygienically clean.